If you follow my blog then you already know that I'm currently enjoying a week in Singapore for a conference (and a bit of free time too!). I was hoping to still post a couple recipes while away but I feel like I haven't had a spare minute to sit at my computer, and when i do, I've been trying to stay up to date with emails or skyping with my boyfriend, so I apologize for the lack of posts! I'm having a great time here though; Singapore is a beautiful city (or city-state, technically) and I've had some wonderful experiences here, the most memorable of which so far probably being a "fish spa", where you dangle your feet in a tank of little fish that eat away at all the dead skin on your feet - I'm not sure if my feet look any different now but it was definitely a fun experience! 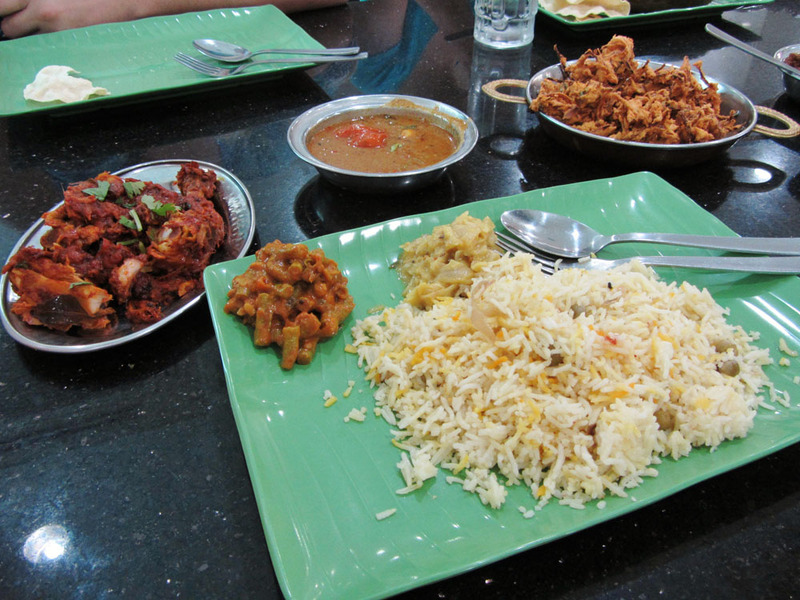 I've also been enjoying some great food here from a range of cuisines. 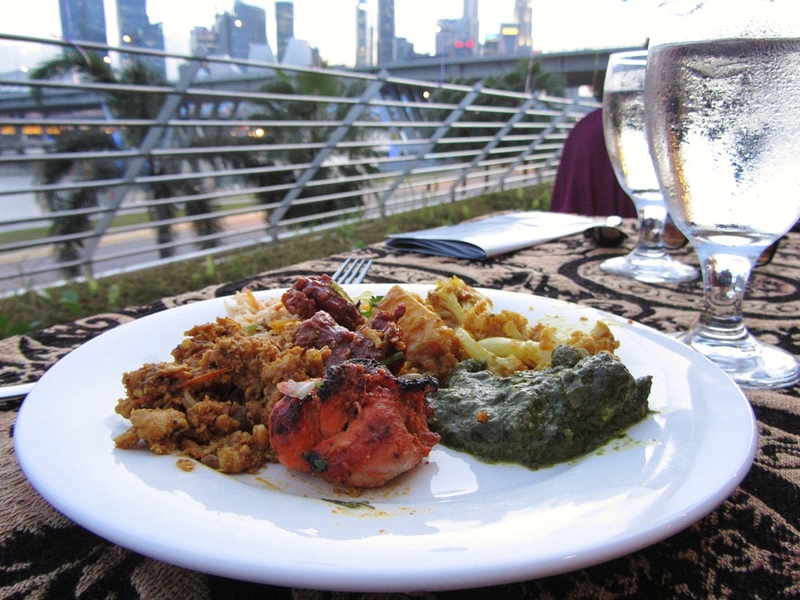 One of the things I love about Singapore is that the people come from many different cultures, and that's reflected in the food that's available. 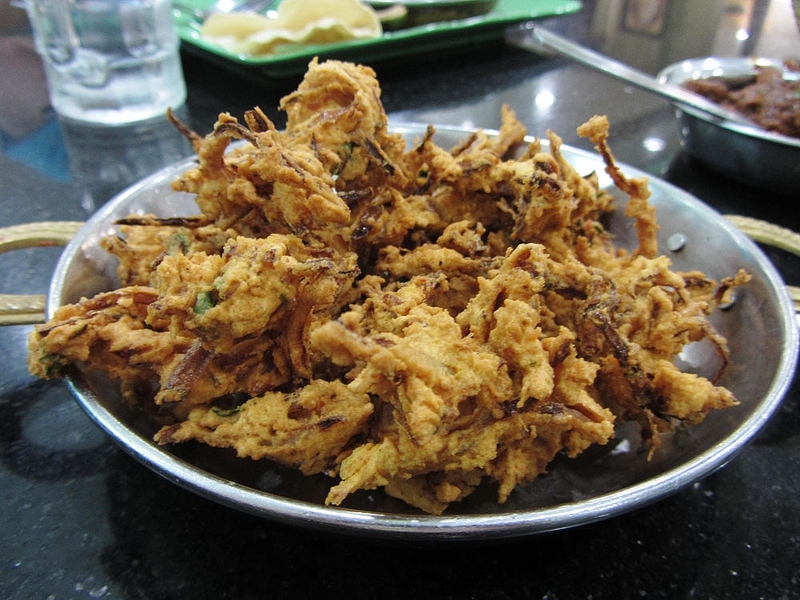 I've mostly been eating Indian and Thai food because those are my favorites, but I've also had a few delicious Chinese and local meals. And with my bit of free time this evening, I thought I'd share some pictures of the food I've been eating. Sorry that I don't have recipes for any of these dishes, but if you know of any great recipes for them, please leave me a comment to let me know! The picture above is a dish called "carrot cake", which is obviously not what we would think of as carrot cake, but is rather a fried mixture of daikon, rice flour, egg, garlic, and spices. Apparently it's a classic Singapore hawker dish, so I made sure to try it when I was here. It was a tad eggy for my tastes, but I loved the soft pieces of daikon and when I mixed it with some spicy chili sauce it was really good! 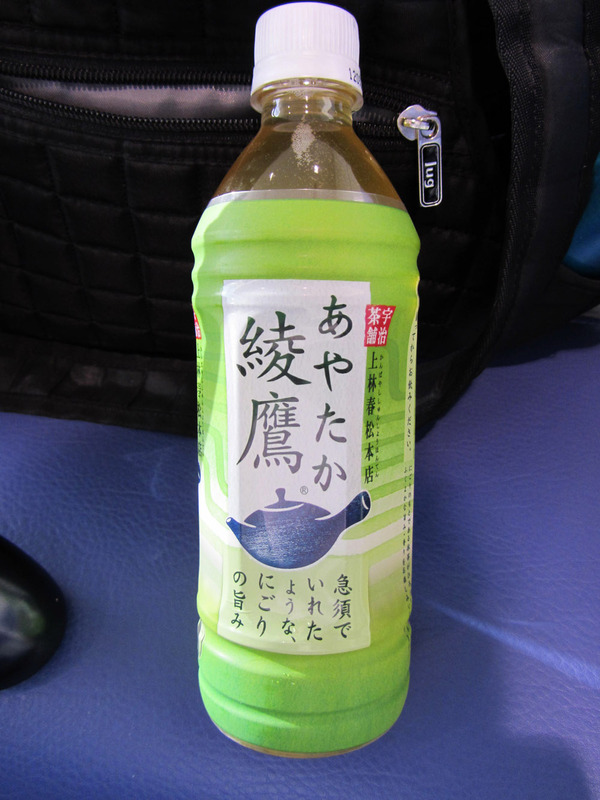 It was pretty strong so I wasn't a huge fan of it, but at least I can now say I tried something in Japan! We're stopping there on the way home too, so I'm going to try to get some sushi next time! My breakfast usually consists of some sort of noodles, a dal, an Indian bread-like thing (it varies every day), a big plate of fruit (the one with the black spots is dragon fruit), some yogurt, and fruit juice. It's way more than I would normally eat at home but I can't control myself at buffets and the food is just so good!! I can't remember what all I ate because it was a buffet, but pictured above is some palak paneer, chicken tikka, and some other things that I can't remember. The food wasn't that great, but the view was lovely, so I was happy! 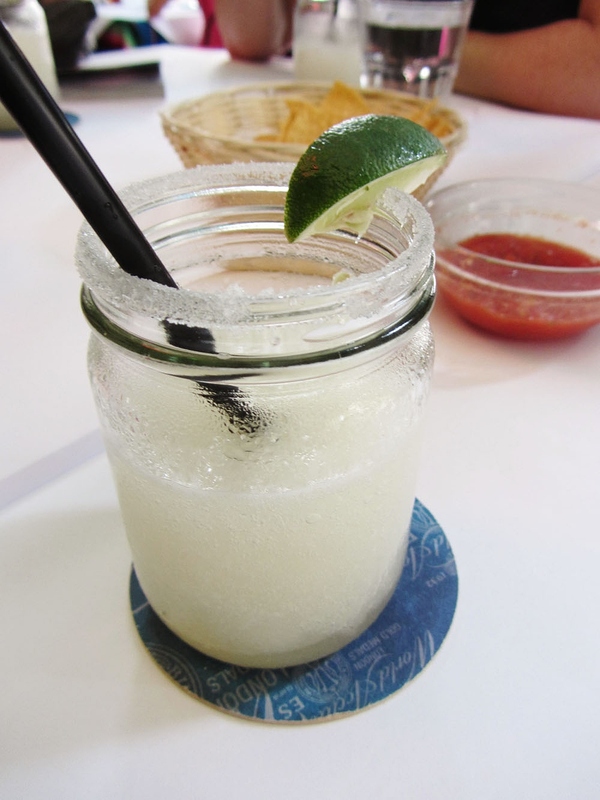 Even though a margarita isn't something you'd think of drinking in Asia, it was very tasty and refreshing, and just what I needed at the time! 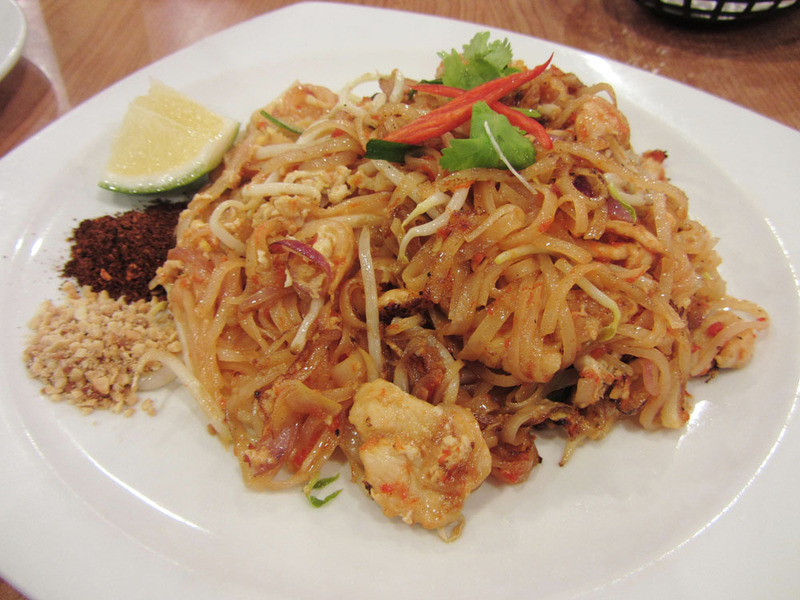 It was really good, though not that different from pad thais at home, as I was expecting. I'll try one again when I get to Thailand next to see if there's a difference! 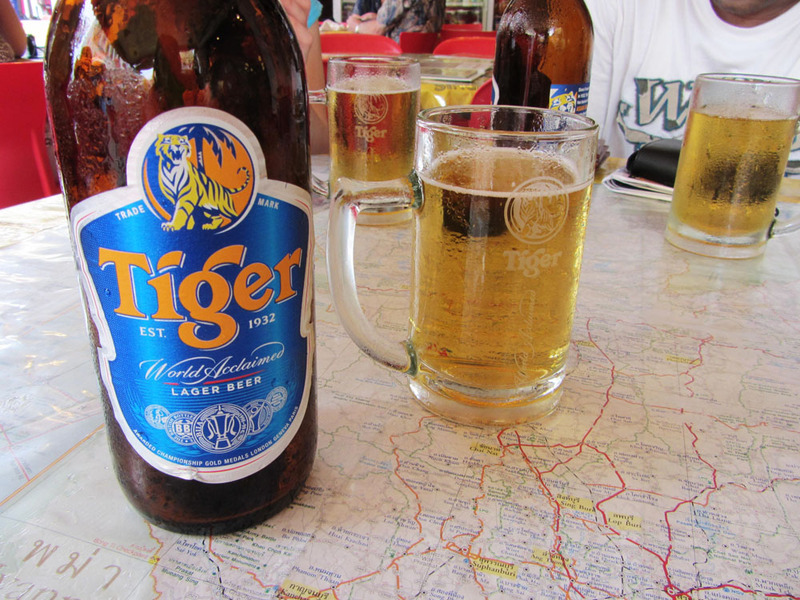 I've been trying to drink only Tiger beer while I've been here because it's made in Singapore and it's pretty tasty, especially on a really hot day (which is every day)! This is all the photos I've been able to go through so far so I'll stop there and continue the rest in another post later! 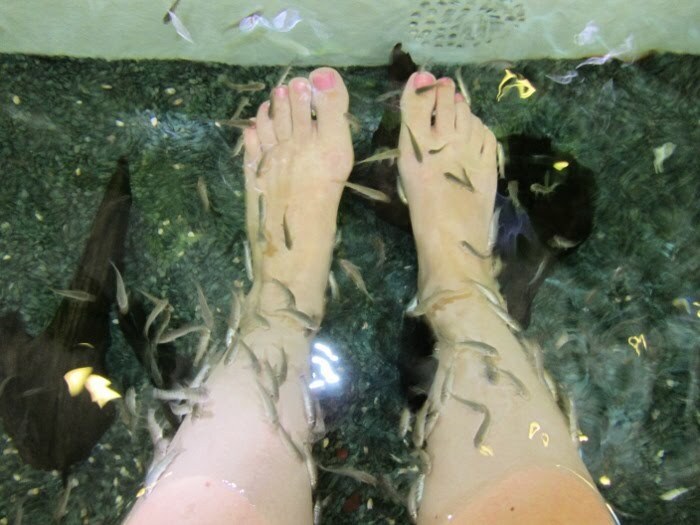 And at the risk of making you lose your appetite now, I just wanted to share a picture of the fish spa that I mentioned earlier just so you get an idea of what it was like. If fish gross you out, don't scroll down! Tomorrow I'm off to Thailand and will update you again as soon as I get a chance! Have a great trip!! That fish spa thing looks so cool... how did it feel? I love these recaps darling :) The first picture looks kind of like an egg foo young! That is what I thought it was at first! 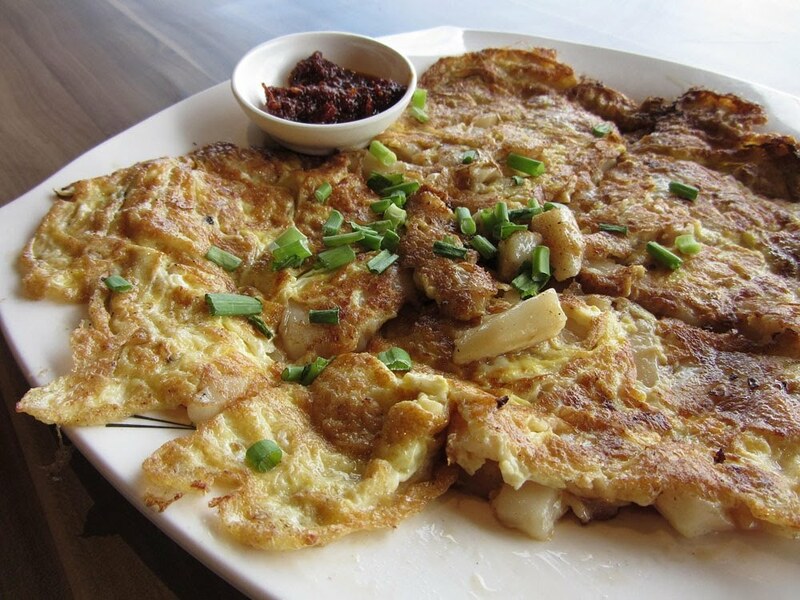 Have you had egg foo young? I love shrimp foo young! YUM! Apparently I NEED to go to singapore because everything looks delicious! Thanks! It felt really weird, kind of like a buzzing all over your legs/feet .. It took a while to get used to but then it was pretty nice! I don't think I've ever had egg foo young .. I'll have to keep an eye out for it! Wow! Looks like you are having a fantastic trip!! Thanks for taking the time to share!! Enjoy and have a safe trip home! Ooh, fish kind of creep me out, I don't think I'd have it in me to go to that spa. 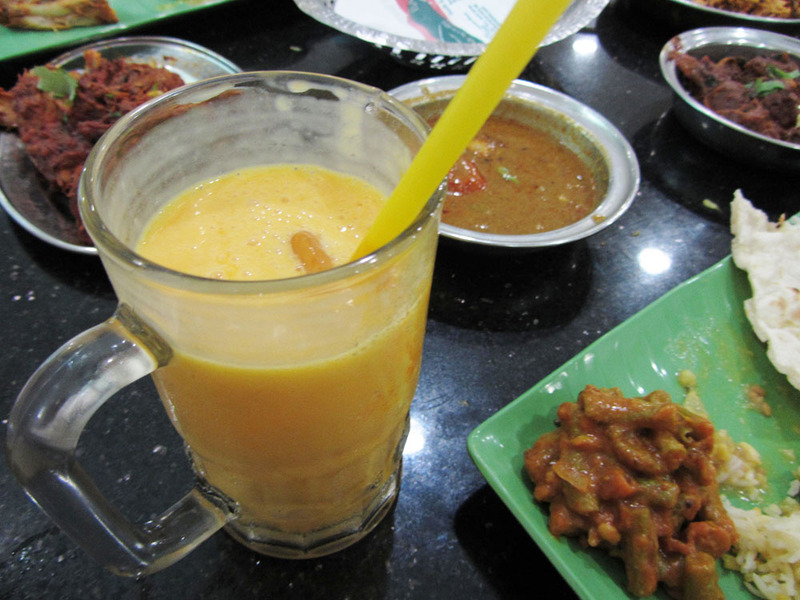 :) But wow, I love looking at the photos of food in Singapore! 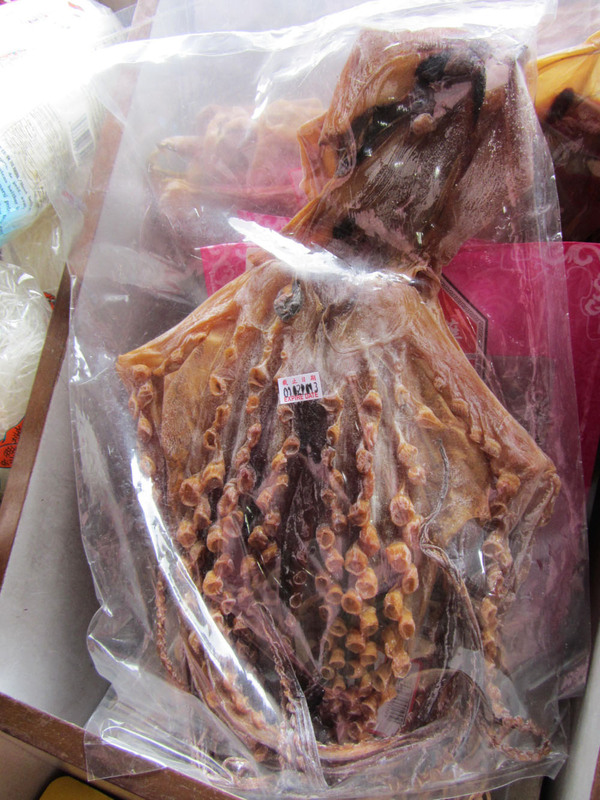 It all looks so good (well, maybe not the dried octopus!). Haha a lot of people we were with had the same feelings and didn't do the fish thing, but I'm glad I did! I wasn't too crazy about some of the things available in Chinatown but the food everywhere else was delicious! All your pictures are great! It's always good to support local beer! I've seen the fish thing before. I think I'd be scared! Birthday Menu for an Amazing Boyfriend!